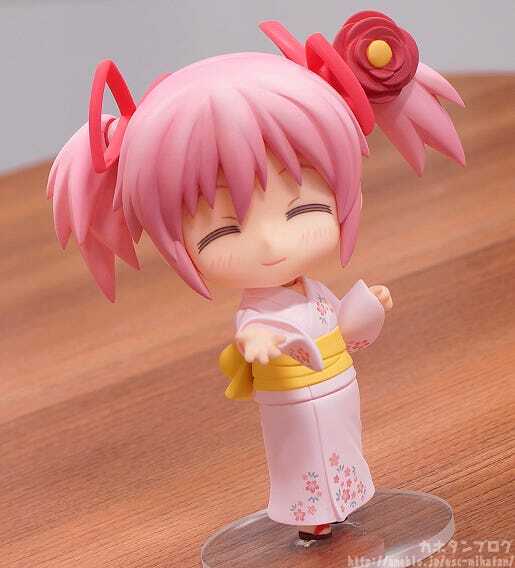 Kahotan's Blog | GOOD SMILE COMPANY Figure Reviews | Nendoroid Madoka Kaname: Yukata Ver. 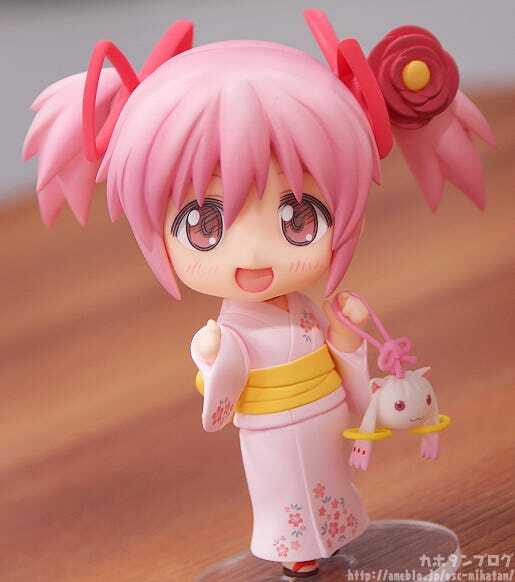 From ‘Puella Magi Madoka Magica The Movie’ comes a Nendoroid of Madoka Kaname wearing a yukata! 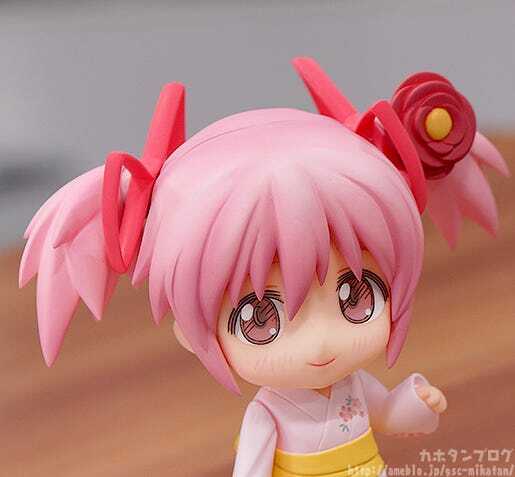 Optional parts include a smiling expression and an embarrassed expression, as well as a Kyubey pouch and a floral hairpin. She’s cuter than ever before dressed up in her yukata, ready for fans to enjoy her company! 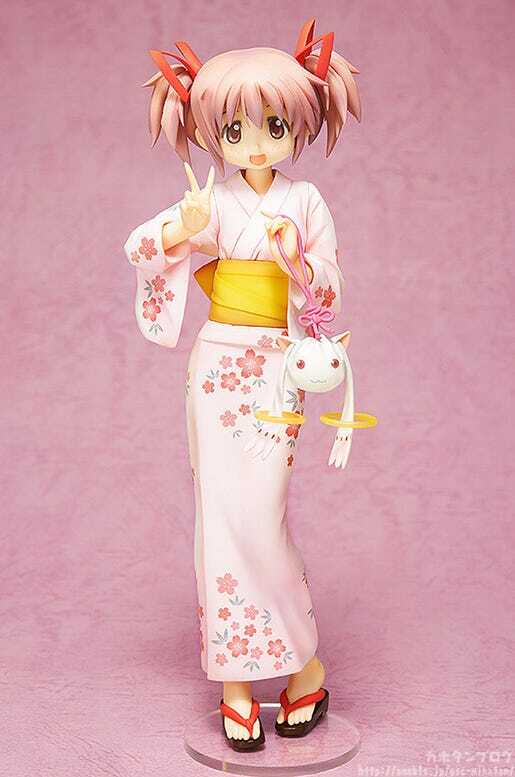 Many of you may recognise the outfit from the previously released 1/8th Scale Madoka Kaname: Yukata Ver. ! 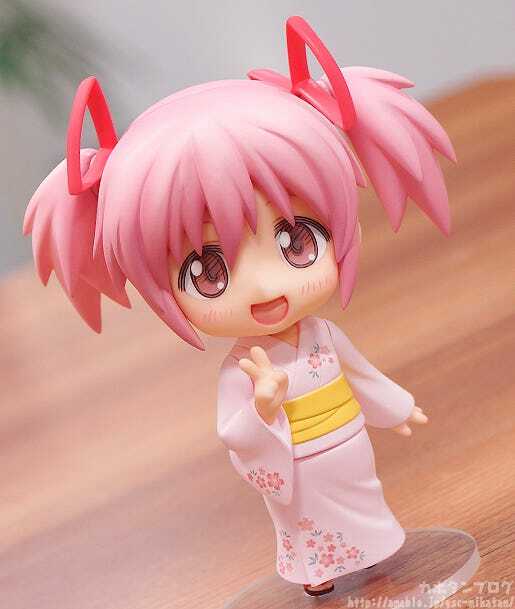 The design on the yukata was changed a little to suit the chibi Nendoroid look, however she still comes with the accessories seen on the scale version! 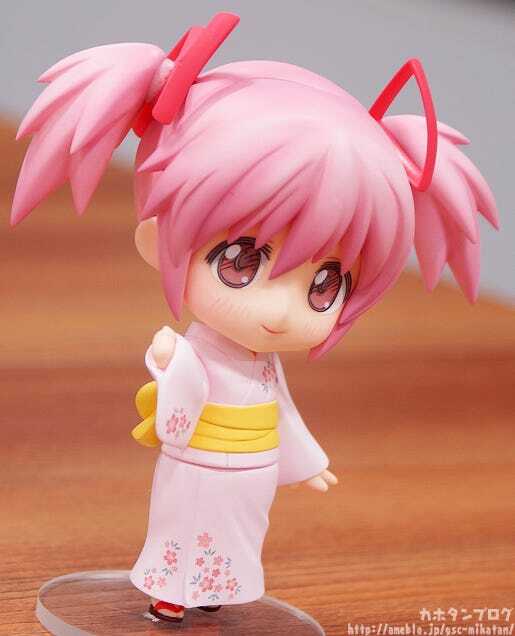 The expression together with the yukata give her a much more mature appearance to the normal Madoka! Her other expression is also so cute…! It also gives her a more cheerful look when used with the first expression! There really is no way that a cute girl wearing a yukata can ever go wrong!! Wonderful work, FREEing!! 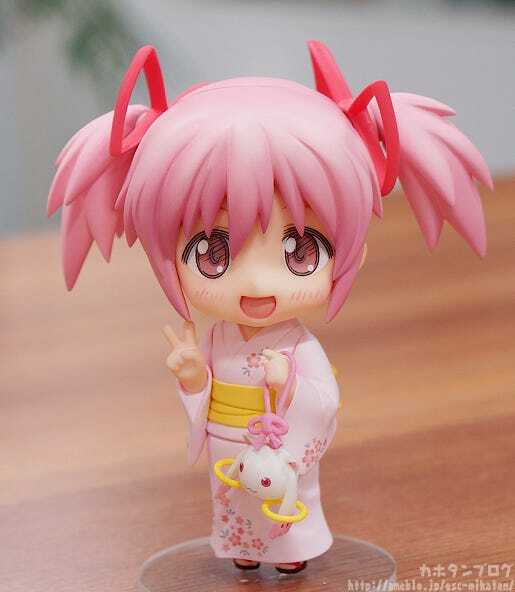 A Japanese-style Madoka, ready to join your collection! By the way! 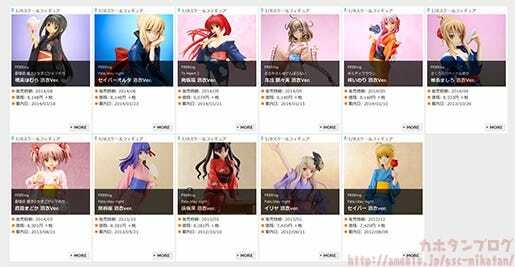 If you’re a fan of yukatas then be sure to take a look at FREEing’s Y-STYLE Series of figures! There have already been quite a few of them!